Mark Hoplamazian, President and Chief Executive Officer of Hyatt Hotels Corporation (NYSE: H), today announced organizational changes designed to support Hyatt’s strategy of driving preference by providing distinctive brand experiences. The changes include the integration of the global operations structure, the formation of an integrated team to lead the Company’s select service business and the creation of a new global franchising strategy function. Chuck Floyd has been selected as Global President of Operations, effective August 1, 2014. In this newly created role, Floyd will continue to lead and develop the Company’s Global Operations Center(GOC), Hyatt’s shared operation services organization, and will assume responsibility for the operation of Hyatt’s hotels globally. The Group Presidents for each of Hyatt’s three regions will report to Floyd. Floyd is a 33-year Hyatt veteran who has served in a wide variety of hotel and corporate positions and was Chief Operating Officer for North America from 2006 to 2011. He has been Group President, GOC since 2012. Pete Sears has been selected as Group President – Americas, effective September 1, 2014, and will report to Floyd. In this role, Sears will be responsible for the growth and successful operation of Hyatt’s portfolio in the United States, Latin America and the Caribbean. Over the course of a 27-year Hyatt career, Sears has held numerous positions of increasing operational responsibility. He served as general manager of several full service hotels and later as Senior Vice President, Operations in North America, and has been Senior Vice President, Operations for Asia Pacific since 2012. Steve Haggerty’s role will expand to include responsibility for Hyatt’s franchising strategy and select service business, two key growth areas for the Company. Haggerty will serve as Global Head of Capital Strategy, Franchising and Select Service, effective August 1, 2014. “We recognize franchising and select service as key areas of growth over the coming years, and I am confident that Steve’s experience and leadership will enhance our performance and success in these two areas,” Hoplamazian said. Haggerty has been with Hyatt since 2007 when he joined the company as Global Head of Development and Real Estate. Prior to joining Hyatt, he held a number of finance, asset management and development roles at Marriott in various locations around the world. 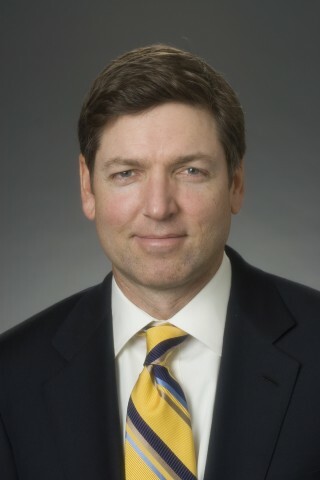 Haggerty has been Global Head of Real Estate and Capital Strategy at Hyatt since 2012.